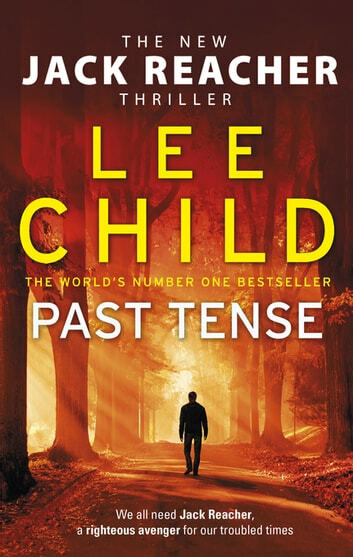 The most hotly anticipated paperback thriller of the year follows our hero Jack Reacher on a quest into his father's past, and climaxes in the most blood-curdling ticking time bomb of an adventure yet. A young couple trying to get to New York City are stranded at a lonely motel in the middle of nowhere. Before long they’re trapped in an ominous game of life and death. Meanwhile, Jack Reacher sets out on an epic road trip across America. He doesn’t get far. Deep in the New England woods, he sees a sign to a place he has never been - the town where his father was born. But when he arrives he is told no one named Reacher ever lived there. Now he wonders: who’s lying? Have been reading quite a lot lately, comparing literary heroes. Reacher is the best, by far. I love the way these tales start with some totally credible random happening, or non-happening,and so develops into a great story, full of violence and clever turns. 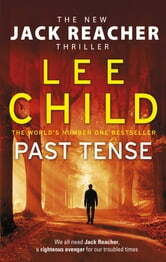 I have all the Reacher books and l look forward to the next one. I hope sergeant Frances Neagley will show up again. Among women she's the only one ever to approach the greatness of Teacher. As capitulating as ever - I downloaded this book for a 12 hour long haul flight, and it was finished before we touched down. It has everything I love about Reacher and the situations he becomes a part of. Worth the wait. Ik kijk altijd uit naar de volgende Reacher. De verhaal lijn is uiteraard hetzelfde net als de vertel trant. Soms te uitgebreid en teveel detail maar op de een of andere manier weet het verhaal je te pakken en is tijd om te lezen geen issue meer. I couldn’t stop reading, that much a thrill. One of the best Reachers I’ve read, hopefully with many still to come.